We just LOVE restoring tiled floors! Tile cleaning, tile sealing and floor restoration services in Bournemouth and Poole that’s delivered at a fraction of the cost of buying new… That’s my guarantee! 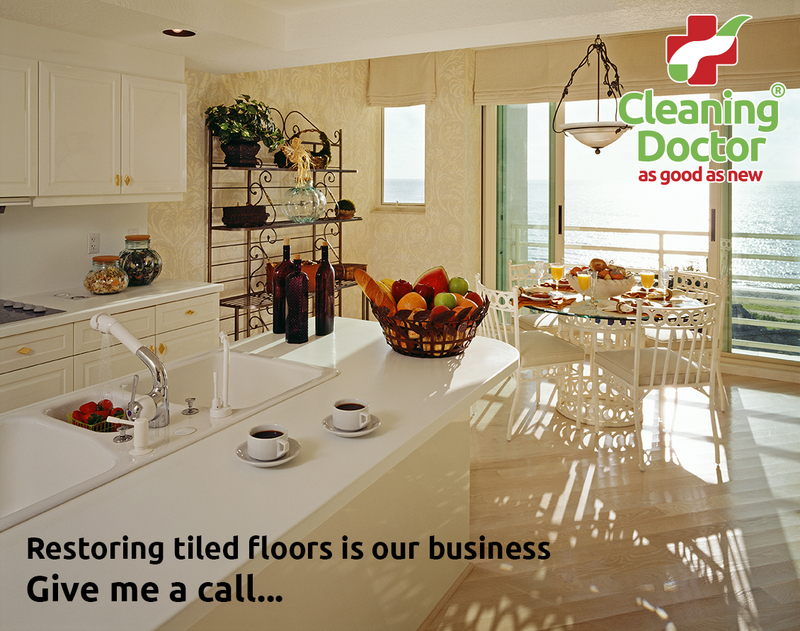 As a tiled hard floor cleaning specialist, I am professionally trained and qualified. I have experience in cleaning, polishing and restoring all types of man-made tiles, vinyl tiles and natural stone. Your Natural Stone floors can be cleaned and restored to virtually as good as new, I normally like to complete a survey and actually do an on-site demonstration. Porous stone, marble, travertine, slate and terracotta are examples of surfaces that can be effectively restored. If you’re having issues with dirt on tile and in grouted areas this is also an area that we specialise in. It’s a fact that probably 90% of grouts have never ever been sealed so again we like to do a demonstration and show you the sort of result that achievable before you spend one penny. When grouts are sealed we then apply a sealant which helps keep grout lines cleaner for longer. Works very similar to putting Scotchgard on a carpet.